Published: Jan 19, 2019 - Modified: Apr 19, 2019 - by Chef Rodney - 2 Comments - This post contains Ads & Affiliate Links. 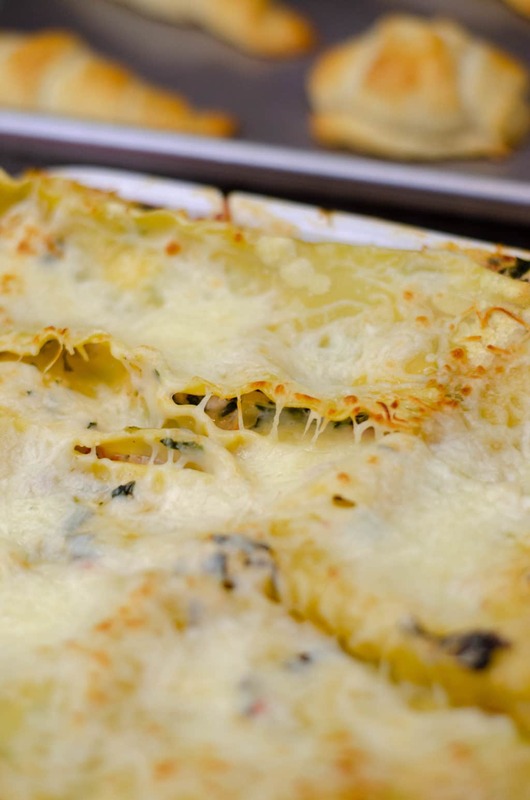 Lasagna is one of my favorite Italian dishes. Nothing like pasta with meat and a bunch of cheese. 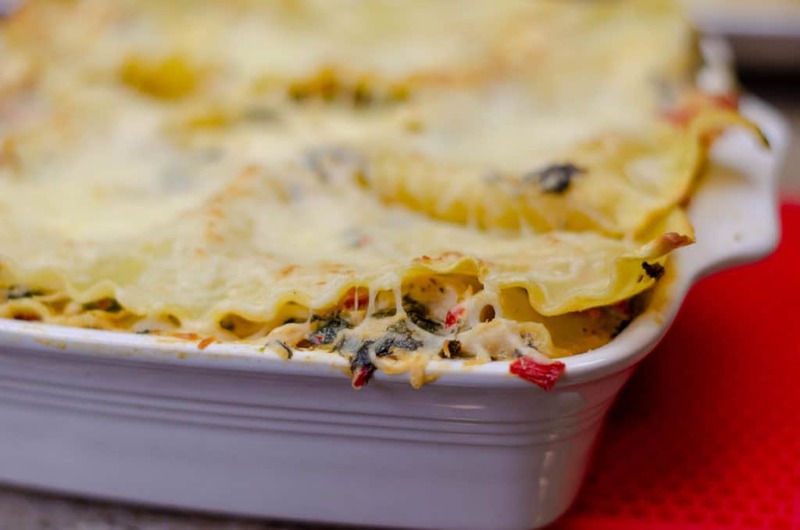 But since I promised my wife that I would start making healthier dishes, this is a relatively healthy alternative to the classic Lasagna recipe. I’ve cooked just about everything really. So for this recipe I made a few substitutes. Instead of red meat. I opted for white meat (aka Chicken). Instead of Red Sauce (Marinara Sauce), I used white Alfredo Sauce with a little spinach and sweet red peppers. Topped off with a little Italian Cheese and voila! 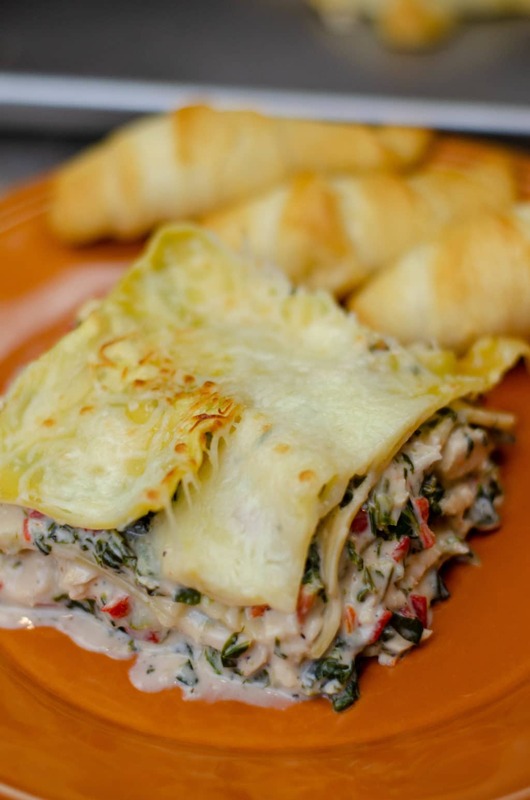 An awesome, and hopefully healthier, Italian Lasagna! 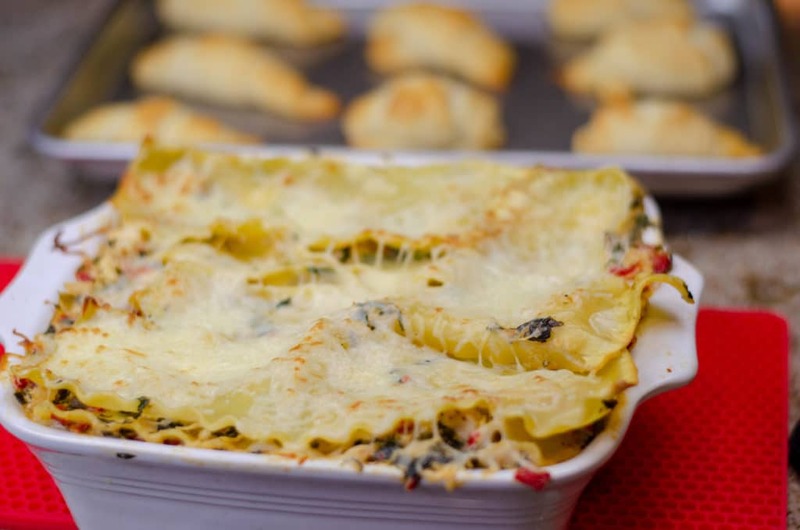 One thing you need to know before you make this recipe that this is not like your typical Italian Lasagna recipe you would find in your favorite Italian restaurant. This one is very different but delicious! Cook lasagna noodles al dente according to package directions. Drain well. Rinse with cold water and set aside. in a large bowl combine Alfredo sauce, lemon juice and black pepper. Stir in chicken, spinach, and roasted red sweet peppers. Lightly coat a 3 quart rectangular baking dish with cooking spray. Arrange three noodles in bottom of dish. Top with one-third of chicken mixture two times. Cover with foil. Bake for 45-55 minutes or until heated through. Remove foil. 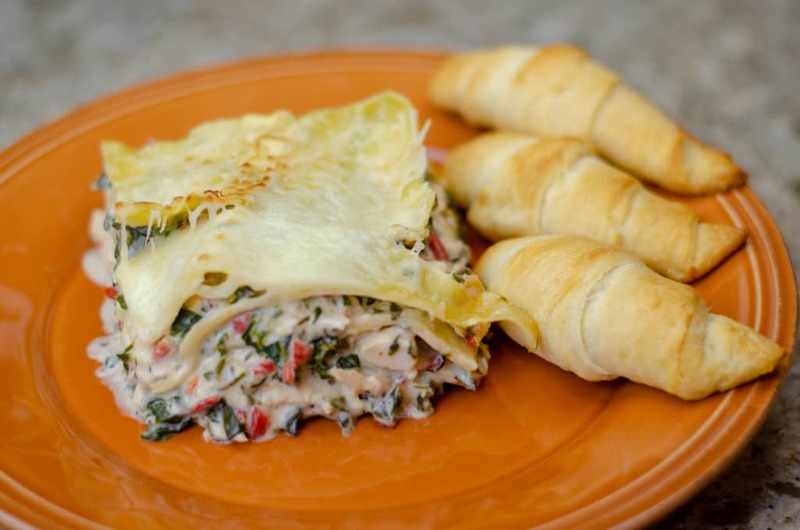 Sprinkle with cheese and bake for about 5 minutes or until cheese is melted. Had this lasagna for supper last night and it was to die for. Not your regular type of lasagna, but it was even better. Would definitely make this again. To me this lasagna is better than any meat lasagna. It’s very tasty.